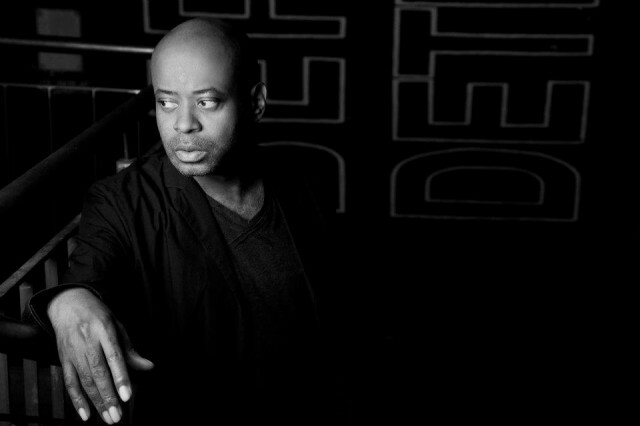 if your summer needs heat, you could do worse than starting with Juan Atkins. The techno legend is warming up New York this weekend, hot on the heels of releasing an epic collaboration with Moritz von Oswald. Flying Berlin to America is still a trick, but at least the musical connections are nonstop. Photo courtesy the artist. Switch off that negative talk: vibrations between musical scenes continue to resonate and grow. Here we have two artists, each somehow evergreen and still blossoming, making the link from past to future feel secure. And speaking of good vibrations, I can think of no better way to get the summer vibes going this weekend than warming up with this warm up and mix. Let’s start with Juan Atkins. The results are out, and the collaboration with Moritz von Oswald may be some of the best dance music out in 2013. It’s all beautifully engineered, endlessly economical, but deeply soulful music; strongly-felt music that emotes effortlessly. Borderland is out this week on Tresor Berlin (the label that shares the name with the long-running club). 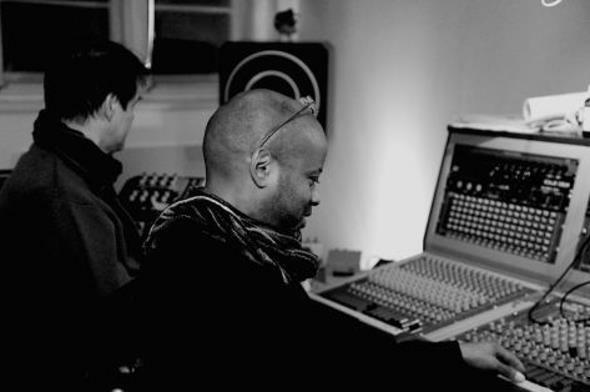 After more than two decades of behind the scenes collaboration Juan Atkins & Moritz von Oswald present Borderland – their debut collaborative album to be released this summer on Tresor Records. The album – made up of 8 sequences, which seamlessly blend the styles of both masters – was recorded at the beginning of 2013 over various studio sessions in Berlin and will be released as a series of three 12″s and a CD album. Limited to 500 units, pressed on heavy vinyl and packed in hefty sleeves, the three part vinyl series, gathers all but one title present on the CD format. Together with a series of live shows debuted in May at MUTEK festival, with follow-ups in Berlin, Amsterdam, London, Paris – the record gives common voice to two independent yet mutually supporting musical journeys, achieving a singular expression of club-orientated electronic music and the freedom of organic musical experimentation. FACT Magazine did a nice retrospective on how this collaboration came about – you can hear that relationship all over the record, but if you care to know where those fingerprints came from. And Brandon Bussolini, writing for XLR8R, I think goes deepest into the significance of this release. This combination—Atkins’s practical mysticism and Oswald’s ductile minimalism—makes Borderland feel earthy and enchanted at once, playing off the misty forest pictured on the album’s sleeve art. But CDM has a theory. We believe knobs and faders were involved somewhere, possibly with mixing. Meanwhile, in America, New York City is again enjoying their terrific Warm Up parties at PS 1, bringing together local Queens residents and culture snobs and club kids and families to sweat together at an art museum. And Juan Atkins is part of a dream lineup this weekend that includes some of our favorites from genre-bending label PAN – Lee Gamble, NHK’Koyxen, and Bill Kouligas, specifically. 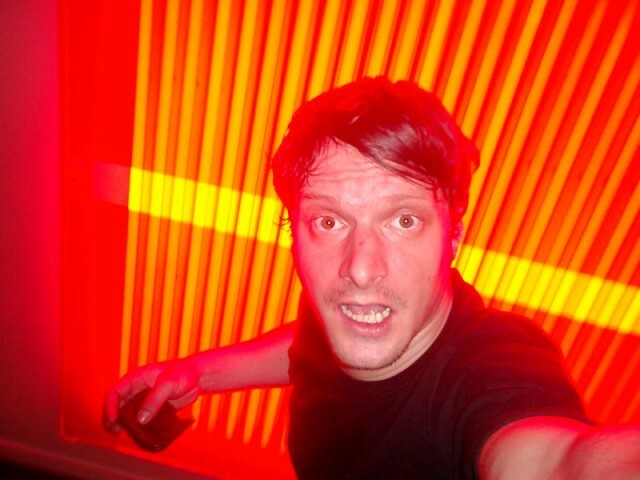 If Atkins and von Oswald represent a still-fresh, still inspiring look to the past, DJ Koze might take you into the future. Stefan Kozalla builds on German dance music traditions (on KOMPAKT, about to celebrate their anniversary in a big way), but has done more than almost any other to lead new sounds (on Pampa). Like the duo above, he’s also back after a long hiatus, with PAMPACD007 – Amygdala. Resident Advisor reviewed that instrumental epic when it came out earlier this year.